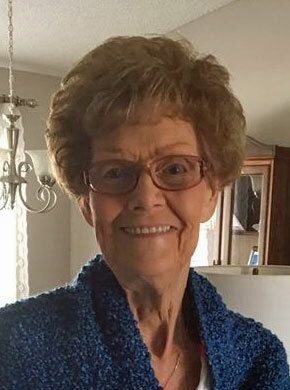 Nancy Anne Seymore, age 72, of Boulder City, NV passed away on November 17, 2018 in Boulder City. She was born in Red Oak, Iowa on February 10, 1946 to Marshall Heckerson and Gladys Guyer Heckerson. Nancy and Donnie L. Jones were married in May, 1965 and were blessed with the birth of their daughter, Marcia. Nancy later married Paul Seymore in Red Oak, Iowa on July 3, 1979. Together, they moved to Boulder City, NV in 1986. Nancy was a proud and loving mother and a good friend to her Boulder City neighbors. Nancy was very proud of being a member of the Boulder City United Methodist Church. She enjoyed reading and being a part of her church’s book club and bible study group. She also enjoyed crocheting. She worked as an assistant in the scholarship department of and retired from the Nevada Public Education Foundation. She was instrumental in assisting many students obtain scholarships to be able to further their college education. Nancy is preceded in death by her husband, Paul Seymore, who passed in 2014. She is survived by her daughter, Marcia (Steve) Barcomb; two grandchildren, Bradley (Ashley Guay) Barcomb, Rachelle (Cory Nolette) Barcomb; three great grandchildren, Isis Barcomb, Xoey Barcomb, Liam Nolette and one great grandchild to be born in February.